AGC is a European company with headquarters in Brussels. It produces flat glass used in external glazing, solar generator manufacturing, furniture design and automobile construction. 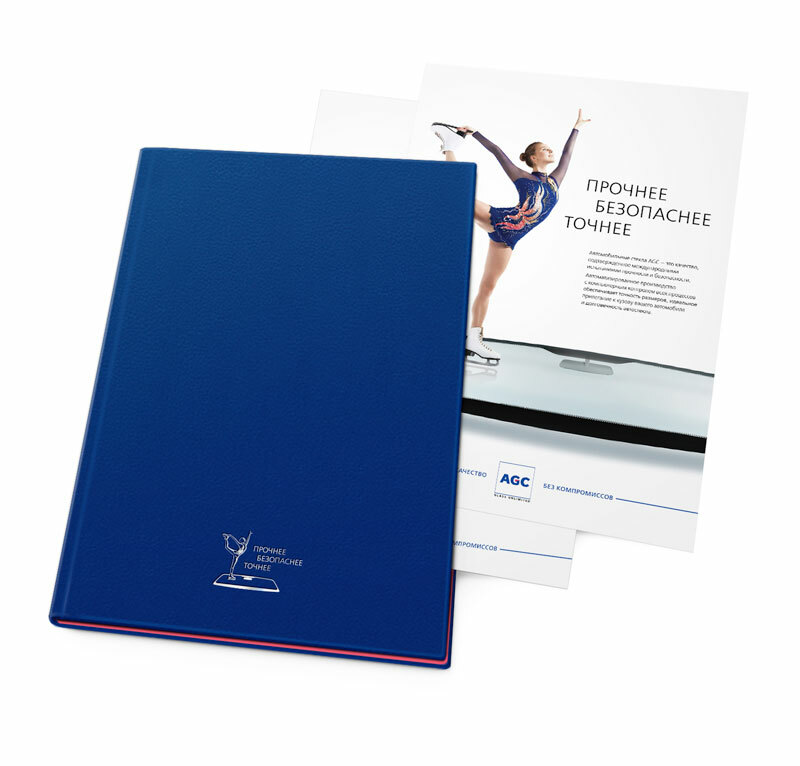 In order for car dealers to use consistent advertising materials, a series of graphic templates was designed at the studio. 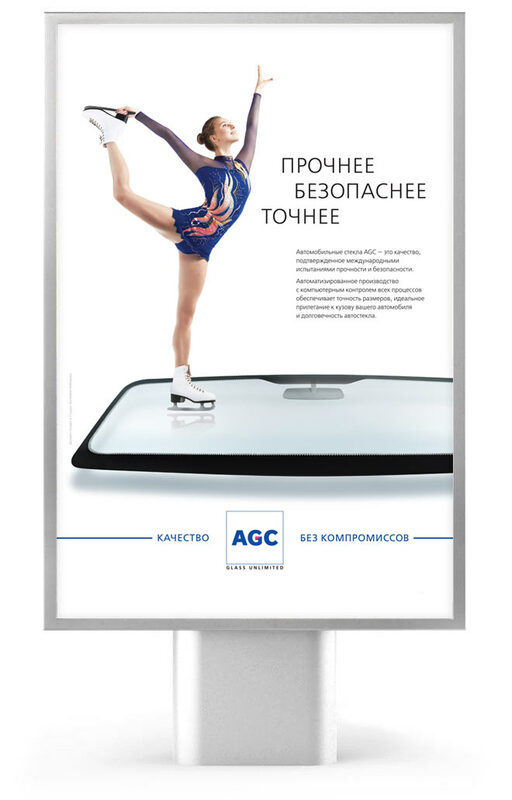 A figure skater gliding over a smooth surface without leaving a trace illustrates how hard it is to damage the glass. Vector images for light and dark backgrounds expand the possibilities of advertising application. The layout can be arranged in one of the following ways.